In this component, you will be introduced to ideas for incorporating the iPad into your math curriculum. Now that you are familiar with the basics of the iPad, let's take a closer look at how to effectively incorporate them into the classroom. 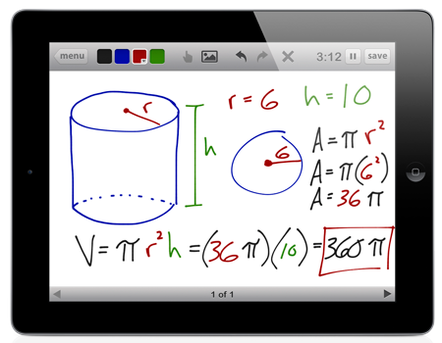 The iPad can be used to support math in many different ways. Detailed information and links to apps for many of these "basic" ideas can be found in the "Presentation" tab as they pertain to any subject matter. You can also engage the students in using math interactive apps to support conceptual learning. These usually have different levels so that all students can have the math practice tailored to meet their individual needs. We will begin by taking a look at some popular mathematics apps that can be incorporated in a K-8 classroom. There are thousands of apps available and new ones being created every day. First explore some of the paid apps that are available at a small fee. Next, please find a list of free apps that prove to be very useful in the classroom. Math Duel ($3.49) is an interactive, split screen mathematics game that helps students to test and grow their knowledge against a partner. The goal is to try and solve the math problem before your opponent. Motion Math ($2.29) is a wonderful app that helps students learn the basics of fractions. It has been shown to help improve attitudes an confidence towards fractions. Students will master estimation of fractions, percentages, decimals and pie charts. Subitize Tree ($1.19) is designed for elementary students to teach counting skills. Students will open doors revealing a group of items. Students must identify the number of objects before the doors slam shut. There is a strong relationship between subitizing skills and math achievement in early grades. Teaching Table ($3.49) is an app that allows teachers to create custom interactive lessons using virtual manipulatives. These lessons can be saved and used over again. 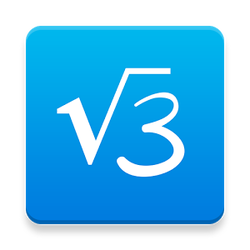 This is a terrific app for any math teacher. Hungry Fish ($2.29) is one of many basic facts reinforcement apps available from "Motion Math". In this fun app, students must combine fish food 'bubble' to create particular numbers that the fish wants to eat. Math vs. Zombies ($5.79) carries a hefty price tag for a kid’s app. However, you can try out the first few levels for free. The students will love solving basic math fact questions in order to zap the zombies and turn them back into happy children! The 100's Board app ($3.49) allows the user to practice skip counting, overlay colors, predict numbers, and more! Click on the "learn more" button to watch a video about the versatility of this wonderful app. MyScript Calculator (free) allows the user to draw equations on the screen with either a finger or stylus. The calculator then converts these into text and solves the equation. This is a great alternative to the traditional calculator as it helps reinforce numbers. Math Racing (free) is a fast paced race car game. The car is accelerated by answering basic fact questions. The faster the user answers, the faster the car goes! This is a high interest app for boys in the upper grades. 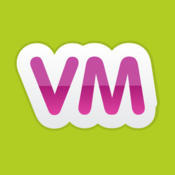 Virtual Manipulates (Free) is a useful app that helps students to better understand fractions. Much like regular manipulatives, students can move fraction tiles to help them solve a question. Geoboard (Free) is used to explore a variety of mathematical topics from K-8. Students stretch bands around the pegs to form polygons and learn about perimeter, area, angles, fractions and more. 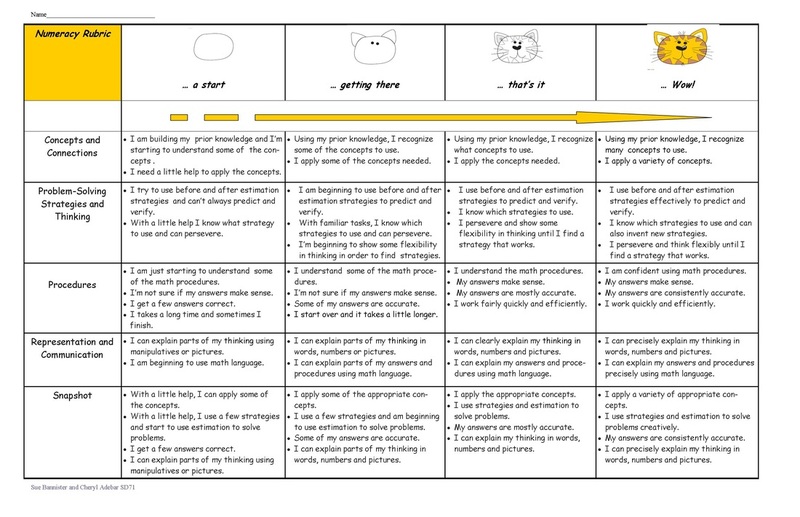 Assessing a student creation to demonstrate their thinking and understanding can be done using a class generated rubric. An example is provided on the "Presentation" tab. A variety of other rubrics are available to help assess math learning.